Stock Calendar applications loaded by the device manufacturers are not always so good to stick with. There might be some limitations that are annoying or sometimes seeing the same UI again and again urges you to get rid of the stock application and go after something new and something cool. Google Play Store is loaded with tons of Calendar applications, but the problem may arise when you have to pick up the best Calendar app that also happens to be free for yourself, that actually works perfectly as there’s a number of useless applications available that do not work as mentioned in the descriptions. Samsung has installed the S-Planner application in the Galaxy Note 3, that’s quite a great app, but I still wanted to try out something new and for the purpose I started exploring Google Play Store. Out of 100’s of Calendar applications, I’ve compiled up some best ones that are pretty much good to go with. Let’s move forward to the list of best free Calendar Apps for Android and select the one that suites you the best and install on your Android device right away. 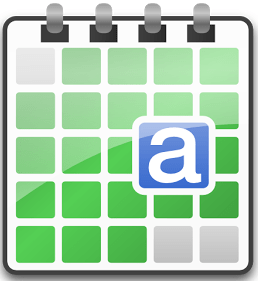 aCalendar – Android Calendar by Tapir Apps GmbH is loaded with a number of features that may make you fall for this application quickly. The application has a great and cool UI. Offers 48 different colors per calendar and there’s a variety of widgets that you may choose from to set on your phone’s home screen. aCalendar offers daily, weekly, and monthly formats. aCalendar is optimized to work efficiently and eat less battery on your Android device. 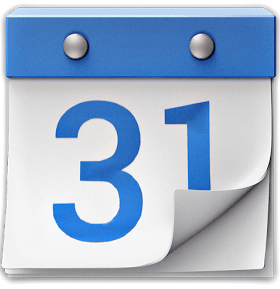 You can grab the freeware of aCalendar – Android Calendar with limited options, while the paid versions offers some enhanced features. Google’s applications are the best choice to adapt when it comes to simplicity and incomplexity. Google Calendar is absolutely free in the Google Play Store and works on all Android device having Android 4.0.3 or above. The application didn’t get a hefty list of features that helps it to stay less complex, it offers a simple calendar with an option to set reminders for different events and you can also set the widgets on your home screen so that you don’t miss out something important. Google Calendar allows the users to add colors to the events as well in order to make the schedules look beautiful. Jorte Calendar & Organizer is pretty much fancy and colorful. The application is highly customizable, you can set the background of your choice. Jorte also allows the users to add photos to the events in order to set better reminders, besides this, Jorte is capable of syncing up with Google Calendar, Faceook and Yahoo Calendar in order to import your event data to Jorte. It also offers event calendars that helps you to stay tuned with the ongoing events e.g a Football Worldcup match with the schedules and the scores. Jorte is available for free, but it also offers in-app purchases in order to enhance the functionality according to your liking. Grab it from the Google Play Store. Cal-Calendar by Any.do offers a smooth and intuitive user interface. Cal has a ponderous list of features to offer as well. The application aims at balancing between the life and work of the users. Cal helps the users to stay supercharged for the meetings using the reminders and the widgets on the home screen, you can also make voice entries to the calendar. Cal is loaded with over 9 different themes to make the application beautiful and attractive. Cal-Calendar is completely free, you may install it here from the Play Store. Digical Calendar & Widgets app also happens to be one of the most popular in its category. It offers day, week, month, agenda, day month, and list view in portrait and landscape. There are over 9 different and beautiful lock screen widgets for Digical Calendar to choose from. Digical Calendar & Widgets has Android Holo Light and Dark Theme UI, that’s quite attractive. Digical is available for free as well, but the application offers in-app purchases for better working and functionality. Business Calendar is much similar to the calendar applications listed above and offers almost the same features. This calendar apps has got some nice graphic work that makes it eye-catching for the users. There’s a color-coded year view, besides this month, agenda, event and day views are there. Business Calendar has a search function as well that helps you to easily locate your events, the app can sync up with Google on your Android device and enhance the user experience. Business Calendar also offers a number of different widgets to stick at your Android’s home screen. It’s available for free in the Play Store, but also has a premium version loaded with some extra features. That’s all. In case you think that we are missing something on our list, feel free to mention it in the comment box below and we will have a look on that. Also, let us know which one becomes your favorite Calendar app out of these? Thank you all.